The most common meetings are those which aim to inform, consult, solve problems or make decisions. 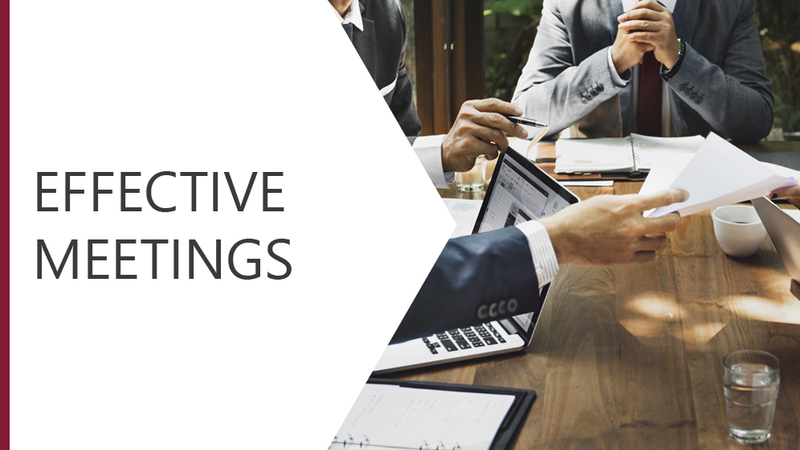 This module looks at the planning stage, in which you set objectives, create an agenda and decide who will attend the meeting, where it will take place and when. We will also explore some useful hints and tips to make your meeting a success. Make your meeting a success.